Why CCR & Why now – a student’s perspective on CCR training generally and Tec 40 CCR in particular: Warrick McDonald. 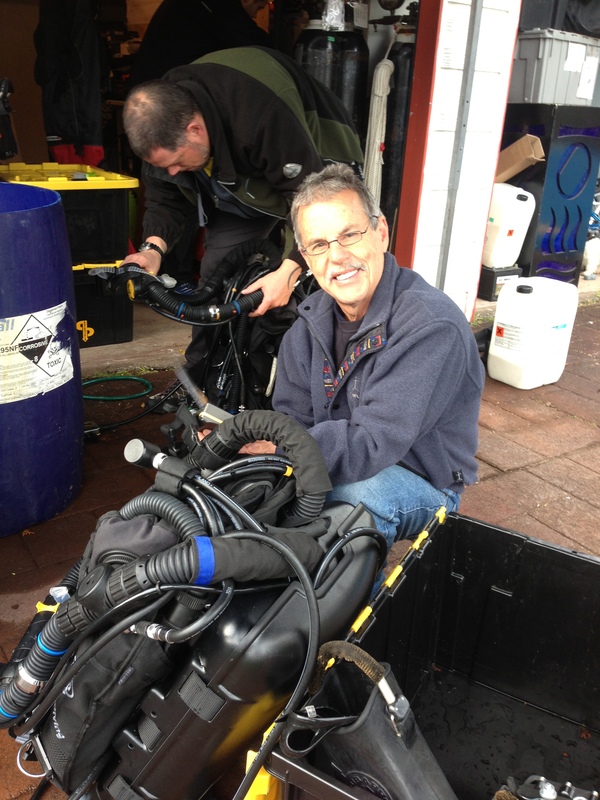 I have been a rebreather diver since 1966 where I “Qualified – more like used” rebreathers in the Navy. Later on in 2000 I trained with Barrie Heard (IANTD) and completed the Dolphin Course. 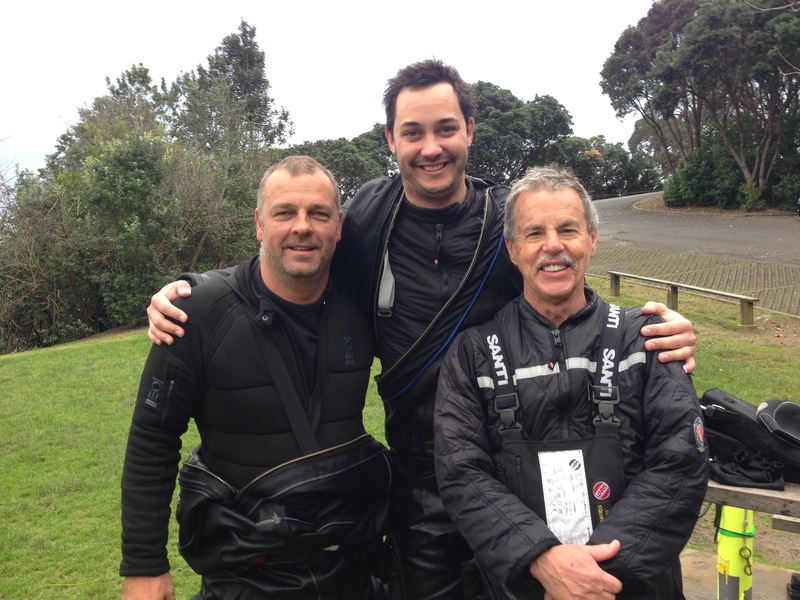 Now I am an “Inspiration Vision” owner and completed my course (PADI Tec 40 CCR) with Pete Mesley in NZ. I hope to reach the Tec 60 CCR rating in July with Pete whilst in Sri Lanka. I have been qualified in deep air since the 80’s but only completed a 100m Trimix course a few years ago. As a CDAA Advanced Cave Examiner I have qualified over a hundred candidates and I suppose I originally considered using the unit for cave diving, but I’ve since changed my mind, because of the type of cave system we have in Australia that I dive. The cost of helium was breaking the bank and after a recent dive that was cancelled I was “stuck with over $400.00 worth of mix that I couldn’t use, whilst rebreather divers commented that they had $6.00 in their 3 litre cylinders. I chose the Inspiration because of the experience and government ratings (3) of the unit. With over 6,000 units out there, it makes the 150 that others can boast look pretty lame. The Inspo also is rated to 120m out of the box with the trimix option and obviously with the qualifications to back it up I can reach this depth. Inspo has the “points on the board” and when I looked further I found out that the PADI Rebreather and Tec CCR courses suited the unit as a Recreational entry or Technical entry piece of kit. Buoyancy control and weighting was the hardest skill. After many years of cave diving and open water deep diving, where trim is so important I felt like a beginner. It took me 16 dives before I felt happy with my trim and I’m still not happy with all the weight I need to carry. You have to laugh when you think about how different it is to ascend and descend. Follow normal procedures and…nothing happens! Concentration on running everything manually sure makes you miss a lot when you first start. Watching my PP02’s like a crazed person allows everything in the sea to go by and you just don’t see them. After a slower than everyone else equipment check and then descent, you soon catch up time because when they (open circuit) have to ascend I stay with my buddy and enjoy the advantage of diving with a PPO2 setting that decompresses me and with a gas quantity that has hours of available time left. The fish don’t act scared and are curious as I go by silently. I want to spend longer bottom times on wrecks, photographing and observing and not having to do huge decompression stop times. I have been to Truk Lagoon 22 times and I’m going again in 2014 for 5 weeks so my Inspo will really get a hammering. We hope you’ve enjoyed reading about Warrick’ s experience of Tec 40 CCR training & if you have some TecRec training stories or perfectives you’d like to share then please leave a comment below.